The Chinese name, “wulong”, meaning “black dragon”, hints at the potent earthy flavor this traditional tea variety has to offer. Like green, black and white teas, this tea is fashioned from the Camellia sinensis leaves, but its unique preparation makes it a class of tea all its own. Once the leaves are harvested, they are intentionally bruised to create the desired effect while the tea undergoes fermentation and oxidation. Allowed far less fermentation time than other teas, oolong leaves are then pan fired to seal the flavor. The result is a partially-fermented tea with a unique, striking flavor and a pleasantly sweet aroma. Like many of its fellow teas, oolong tea offers not only an impressive flavor, but an impressive array of nutrients as well. 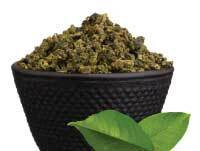 Oolong tea offers several vitamins, including vitamin E, vitamin K, niacin and folic acid. Its mineral content includes calcium, manganese, copper and potassium. 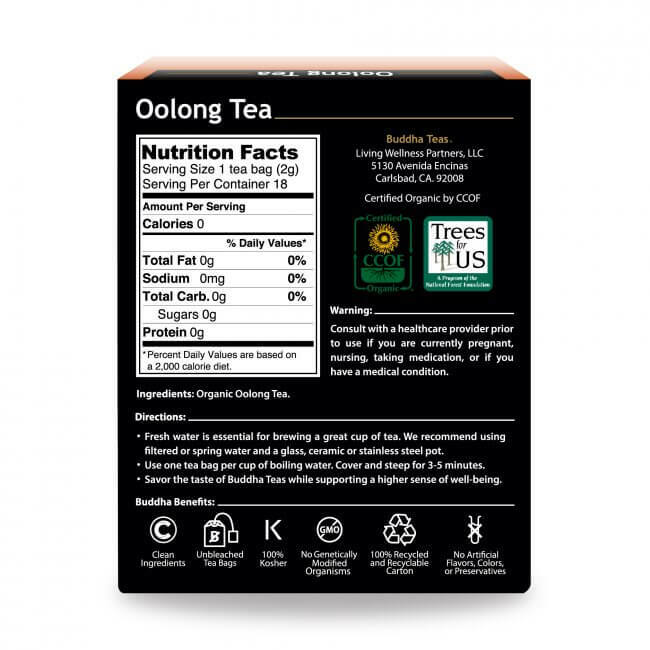 While not as high as green tea or white tea, oolong tea also offers a convenient natural source of antioxidants, providing even more reason to give oolong tea a try. 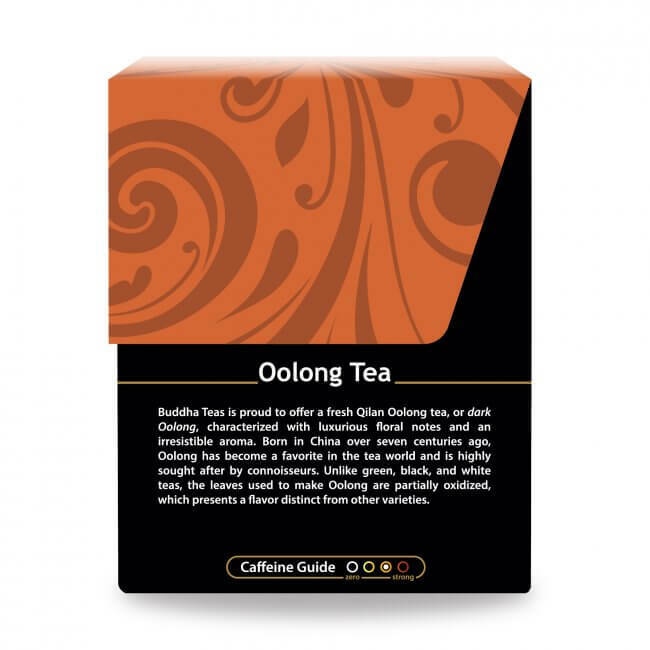 The pleasant, complex taste of this unique brew makes it a great tea to enjoy alone, or with guests. 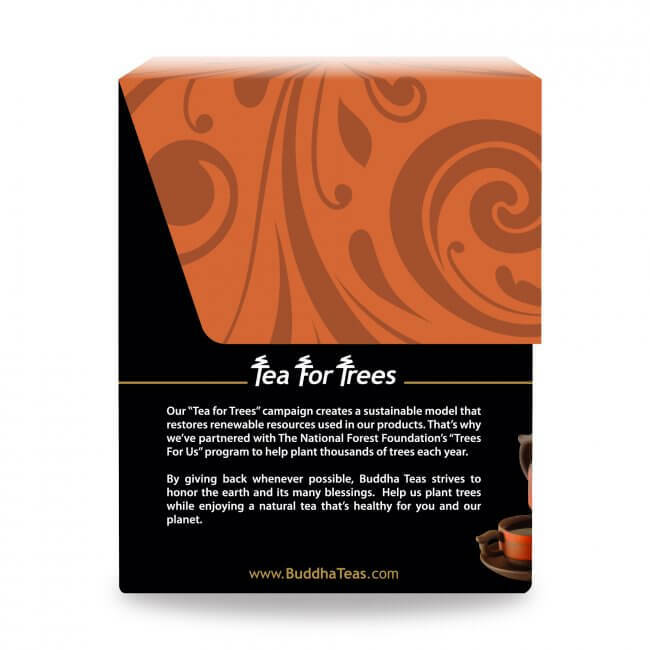 We take pride in offering high quality teas at the best possible values. And with our bulk value prices, you save more when you buy more! Remember, all purchases of $50 and more will receive free shipping within the U.S., which can help to save you even more! I love the Oolong Tea. I drink it black since I don't think the flavor needs a sweetener. I am also pleased with how quickly I get my orders. This tea is so smooth, and it reminds me of the high quality of the tea I once had from the mountains of Taiwan at $300 an ounce. Sip slowly and enjoy its sweetness! Review Title: love your teas. 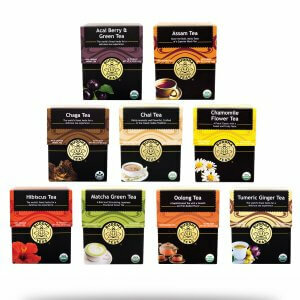 Love your teas, flavor, and the price. Have purchased many teas from you and always was pleased with them. 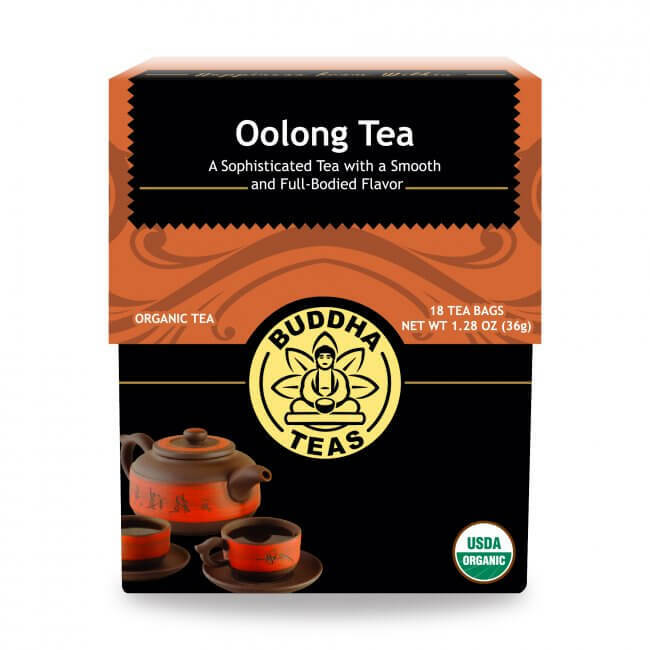 Iv tried other oolong teas and none compare to Buddha teas. That's the best way I can think to describe it. It is strong but not overpowering, gentle, but not week, and has a kick, yet not a punch! I was drawn to this flavour for all the health benefits and I am highly impressed with how I am feeling since I started drinking it. I bought the 3 pack. One for me, one for my parents, and one for whoever finishes their first box first...... the race is on! I read about the Oolong tea in Women's World magazine, so I decided to give it try. It has been amazing from the first cup. Definitely curves your appetite along with giving you energy. I would recommend it to everyone. I drink this tea after every meal. I find that this tea has a balanced taste. I do not add anything to this tea. 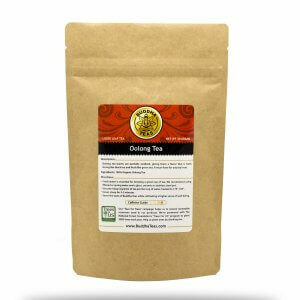 Of all the different teas I have tried, Oolong tea is the smoothest. Not an overbearing flavor and just enough caffeine to get my day started. I have transitioned to being a tea enthusiast rather than coffee.